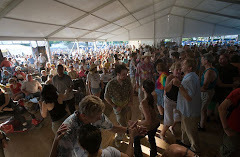 Zydeco fans are very fortunate to have the wide variety of artists to dance to. Of all of these artists there are very few female accordion players... One of the most popular is Rosie Ledet. She has greatly improved over the years and can really put down some great Zydeco dance rythums as noted in the following video clip.